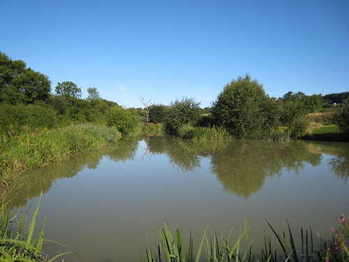 Set among acres of countryside, Wing Fishing Lakes are made-up of two good-sized, well-stocked lakes in the grounds of Wing Hall. A guide and plan of the site can be downloaded here. Designed to offer challenges to all levels, the lakes hold general Coarse Fish including Carp, (Ghost and Common), Bream and Tench. The Lakes each offer over an acre of surface area, with 20 pitches on each lake, there is always plenty of space and privacy. 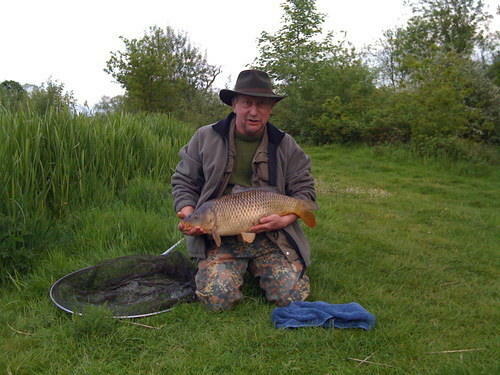 So far, the largest reported catch was a 27lbs Carp - locally known as 'Nessie'. 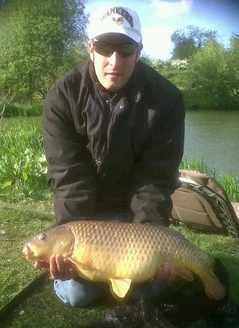 More regular catches are 15lbs carp (other examples from the 2009 Fishing Competition are featured below!). A relaxed and friendly atmosphere is the essence of the Lakes; on arrival Visitors can drive cars up to the lakeside and choose a pitch; the Warden will come to you and issue your ticket upon receipt of payment. It is possible, by prior request, to hire the Lakes for matches. Please contact us for further details. We will open earlier upon request and can provide Night Fishing (£20 per person for 24-hour fish, no spectators or non-paying fishermen). Please contact us for further details. 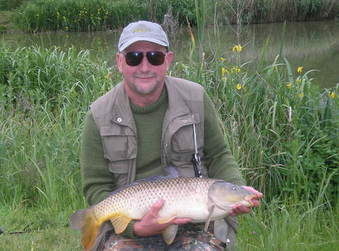 Adults (and children over 14): £ 10.00 per day for one rod, £8 for two rods. 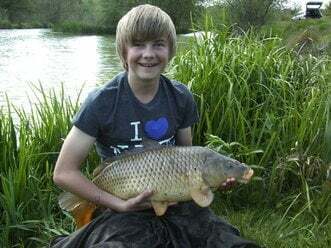 Children (under 14): £ 5.00 per day for one rod and must be accompanied by an adult at all times. After 5pm (March and April) and after 6pm (May, June, July, August) rate is £4.00 for any fishermen or spectators. Unfortunately, we do not allow spectators - anyone at the Lakes will be considered an angler and charged at the full day's rate (non-fishing wife/husband/partner of the angler excepted). General coarse fishing rules apply - these are posted at the entrance to the lakes. 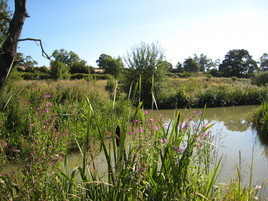 As with any outdoor sport there is an element of risk which, by using Wing Fishing Lakes, you must accept. Wing Fishing Lakes / Wing Hall cannot accept any liability for injury, loss of (or damage to) property or possessions, or for any accident on site.